Connor came by gardening honestly, tending veggies in the family plot as a child. 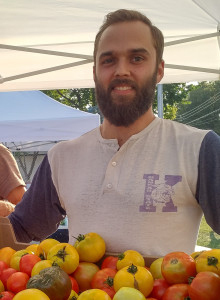 After high school he did some work exchanges on farms aboard and got excited about the idea of gardening as a career. He pursued this idea by apprenticing in south western Ontario and there gained a finer understanding of the vagaries of farming. 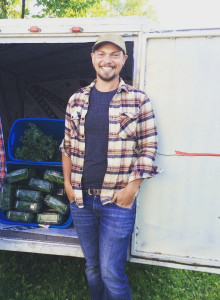 His last few years were spent as the Farm Operations Coordinator at FortWhyte Farms. It was a really unique experience working alongside youth and volunteers to bring the farm to life. 2019 will be his second season with Natural Collective. 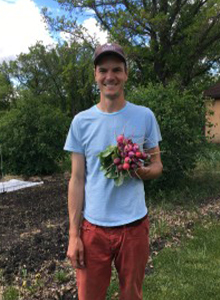 Derek and his wife Jess have recently bought a hobby farm acreage near Starbuck and are planning to host Natural Collective’s squash crop this year. And who knows, maybe now they can look at introducing chickens and eggs to the CSA? Though she doesn’t end up at the farm much, Katie helps Natural Collective with all things marketing including their website, social media, and much more. 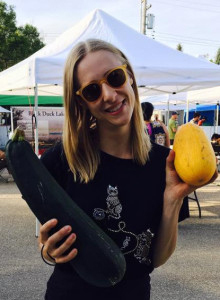 Her passion for purchasing local began in University while learning about business, economics, and the social and environmental impact every purchase has on our world. 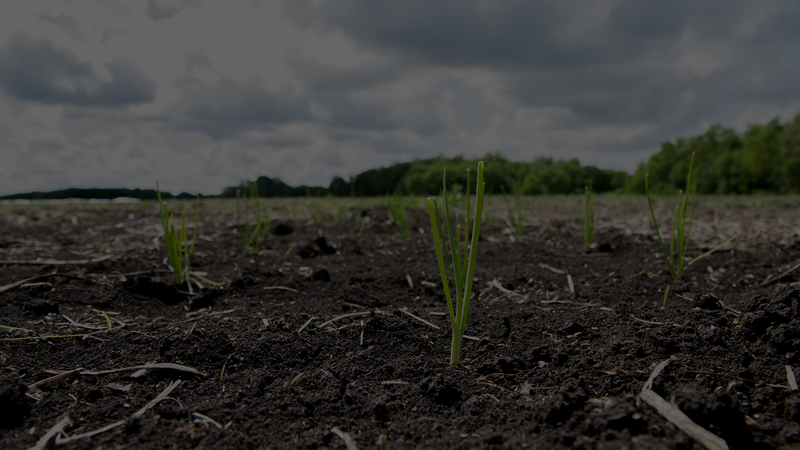 Born and raised in Niverville, Manitoba, working alongside Natural Collective just made sense.